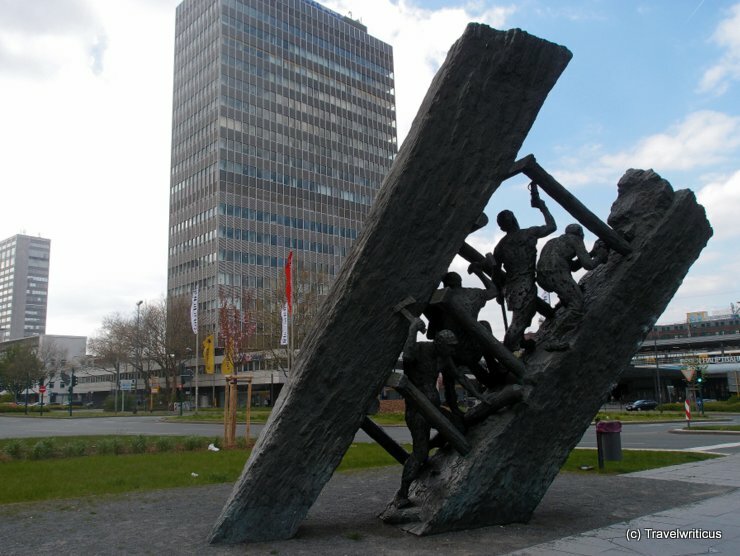 This sculpture created by the German carver Max Kratz is located next to the central station of Essen. It is named ‘Steile Lagerung’ and reminds of the hard work miners did in the region. This entry was posted in Public Art, Sculptures and tagged Germany by Travelwriticus. Bookmark the permalink.